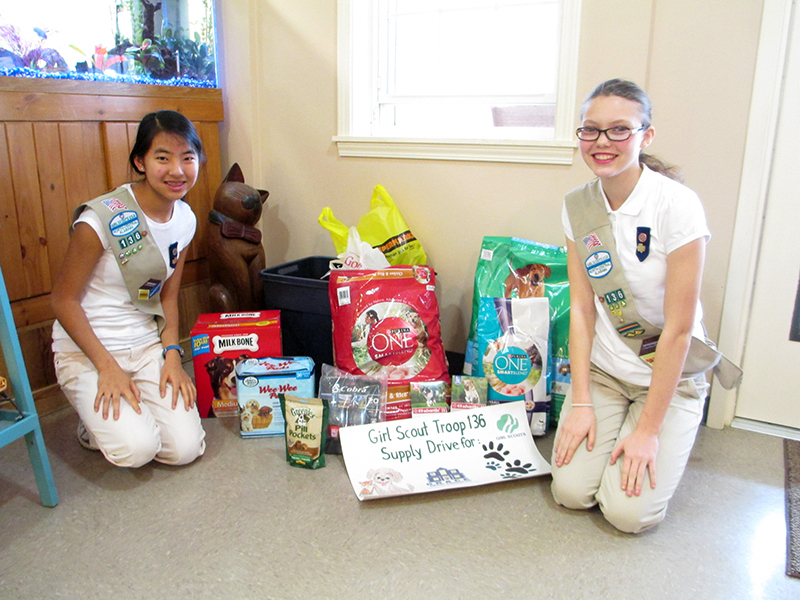 McKinley and Giana, students at Pizitz Middle School at members of Girl Scout Troop 30136, earned the Girl Scout Silver Award for the project helping homeless cats and dogs at Grace Animal Foundation. Employees at the shelter taught the girls how to care for the animals, and the girls held a supply drive to benefit the organization. The project taught the girls team-building and public speaking skills.